Very pretty and inviting scenery !! One of the best leading lines I have seen for a while !!! Excellent camera positioning !! Nice one Rick. Could have had a P for path as well. A great shot! Looks like a great place to explore! 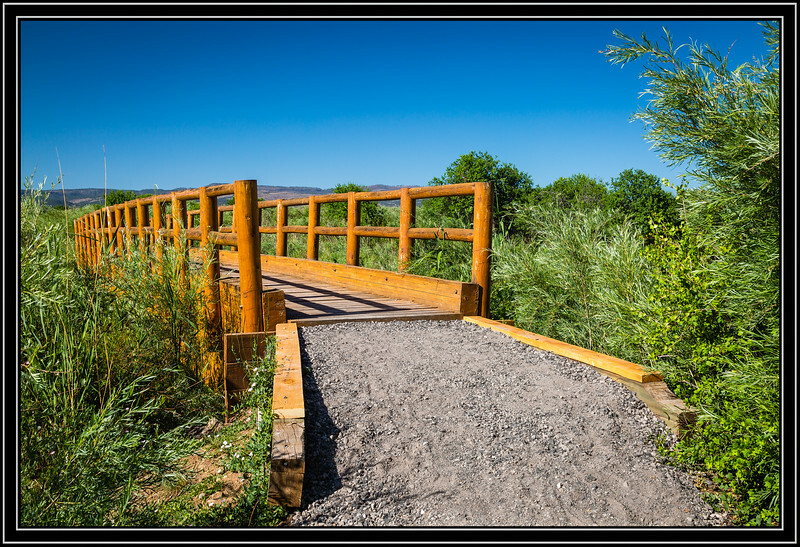 Not sure where this P bridge is, but it looks like it could lead to some great birding spot in the Arizona riparian landscape.